Suzhou Private Tours was founded by Sam and managed by China Merchants International Travel Hangzhou (China Travel Agency Licence No. L-ZJ-CJ00037) as a meaningful alternative to the impersonal canned bus tours that most visitors take. Sam used to be in the line of Int'l Trade and had been an english tour guide for 4 years, as well as work as a trip planner and web designer for two years. All above work experience aimed to do today's great job----Give tourist special, meaningful, unforgettable tour based on tourist's way! After many years work on Group Bus tour, some fresh ideas about travelling in china came to our mind sometimes. It's time to do something to change the way of travelling in china. Finally, we found our own way of travelling in china--- China private tour series. China Private Tour series - Suzhou private tours is Suzhou-based tour expert team. We supply the most useful information for free about the city you want to visit. And help you travel Suzhou in-depth. All of our tours are highly personalized, can be customized cater to your different interests. Leading private tours and adventures to some of the most interesting places-- places that are not offered by travel agencies, that tourists generally cannot go by themselves, or that require specialized knowledge. We will help you travel in depth to understand the culture, the people and the real life in Suzhou. If you have been dreaming to travel somewhere in Suzhou china as well as some other cities, has conditions for that but do not have the right personor companion to participate on that project, why not to try Private Tours? Safety, logistics and traffic problems led Private Tours to offer this alternative to a meaningful way to know the country and its people living aside ofthe social and political problems. Enjoy an affordable Suzhou private tours for value not budget. Many people have become more conservative in their travel spending since economy is a concern. But savvy travelers know quality tours do not have to be expensive. It is the time to spend wisely and shop for value. If you prefer to travel in Suzhou with professional support and service while looking for reasonable prices, you have just found the right place--Suzhou Private Tours will help you make your dream. Enjoy a Suzhou private tour at the price of a large group tour. At similar prices that you would pay for a join-in China package tour in your home country (i.e. large tour group, fixed departure, pre-arranged tour plan determined by the travel agency not you), you can enjoy a private tour at Suzhou Private Tour, offering much better tour flexibility, quality experience, and personal care based on a customized tour plan. Invite your family and friends to save more per person on Suzhou Private tour. Based on a same tour plan, our per-person prices are quoted differently for 1 person, 2-5 people, 6-9 people, and 10 plus people traveling together. The more people sharing, the lower the per-person cost. In this sense, it is always a good idea to take your family or invite your friends to join your tour. This way all of you will enjoy the quality services offered in our Suzhou private tours, and share a great holiday experience in Suzhou China! 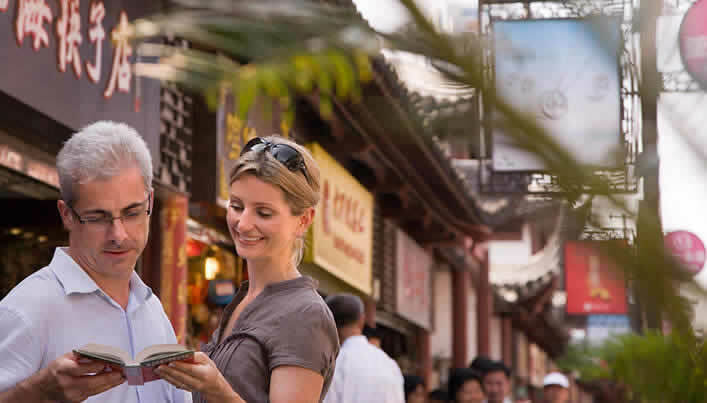 Suzhou private tours characterizes its travel style by optimizing your experience through the whole process, from tour planning to the last minute of your tour. Each team of our travel specialists works closely and effectively in lowering the operational costs while enhancing your tour experience, providing you the benefits of both independent travel and an organized tour: 1-on-1 tour consulting and plan into make sure you really get what you want according to your preferences and budgets. Suzhou Private Tours absolutely no push selling; A personal travel consultant to back you upthrough your whole journey in China, who will make sure alldetails are taken care of; Private tour guide and transportationare scheduled at all destinations regardless of your group size. Our private tour guides are professional and our tour vehicles are comfortable and manned with experienced safe drivers; Prompt and proper handling of emergencies and complaints, with quality management system certified by countless tourists. China Private Tours--Suzhou Private Tours have bulit uo a professional guide team. All our tour guides are guaranteed licensed guide, they all well trained, knowledgeable, positive, full of passion and 100% flexible. Our guides will always try their best to make an unique and pleasant trip for you and your family, your friends. You may get new friend during you travel in China. Always makes you fell sage and comfortable is the main goal of our service. The vehicles we use are all air-conditioned and kept in good safety and sanitary condition. The drivers we use are all licensed driver with many years driving experience. 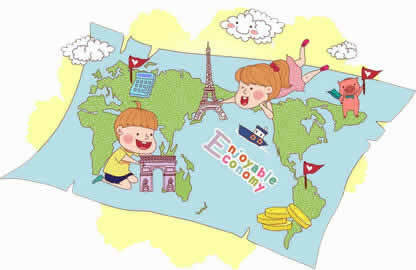 What's more, we offer free baby seat service if you travel with you baby as well.